The photo booth is great way to entertain your guests at weddings, birthday parties or corporate events and give a timeless keepsake of your special day. Jump in, press the button and let the fun begin! 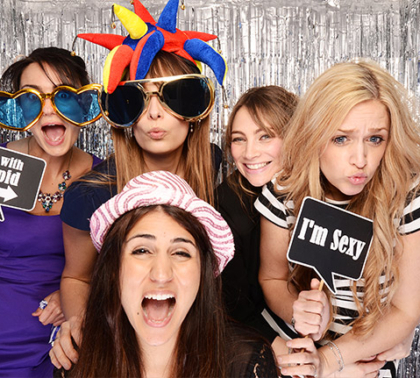 GoGo Photo Booth hire is affordable, with prices starting as low as £295 including FREE photo downloads. It has enough space inside for up to 12 guests and versatile interior designs, you can customise the booth specifically for the needs of your event. Please take some time to read through our website and view our photo galleries. 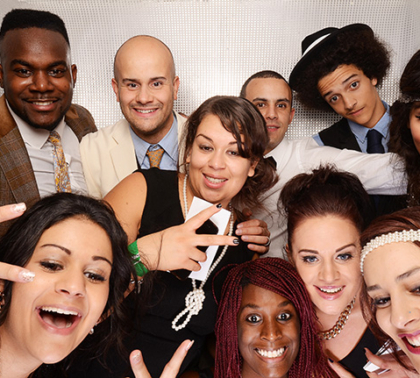 Just imagine the fun the photo booth could bring to your big event. Radisson Blu Portman Hotel – London, The Savoy Hotel – London, Stanhill Court Hotel – Surrey, Sunbury Cricket Club – Middlesex, The Chantry – Guildford, Pembroke Lodge – Richmond, Silvermere Golf Club – Surrey, Camberley Heath Golf Club – Surrey, Bury Court Barn – Hampshire, Hanbury Manor – Hertfordshire, Burford Bridge Hotel – Surrey, Pennyhill Park Hotel – Surrey, The Mill at Elstead – Surrey, Oatlands Park Hotel – Surrey, Ramster Hall – Surrey, Gate Street Barn – Surrey, Corn Exchange – Kent, Gatton Manor – Surrey, Wentworth Golf Club – Surrey, Reigate Hill Golf Club – Surrey, Sunbury Golf Centre – Middlesex, Worthy Down – Hampshire, Old Greens Barn – Surrey, Hartsfield Manor – Surrey, Highfield Park – Hampshire, Down Hall Country House Hotel – Essex, Horsley Park Hotel – Surrey, Hunton Park – Hertfordshire, The Montague on the Gardens Hotel – London, Savill Court Hotel – Surrey, Kings Oak Hotel – Essex, Haughley Park Barns – Suffolk, Holiday Inn Cambridge, Westerham Golf Course – Westerham, Southdowns Manor – Petersfield, Stock Brook Manor – Essex, Crown Golf Hampton Court Palace Golf Club – Surrey, McDonald Berystede Hotel & Spa – Berkshire, Chard Rugby Club – Somerset, Lydiard fields – Wiltshire, Woodlands Park Hotel – Surrey, Aldershot and Fleet Rugby Club – Hampshire, The Red Barn – Surrey, The Barn at Bury Court – Surrey and more. 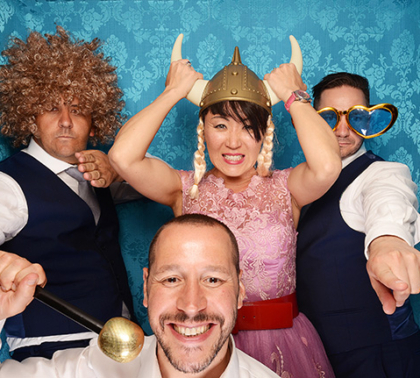 I just wanted to say thank you for the amazing service that you provided for our wedding at Pembroke lodge, All our guests loved the photo booth so much and we have really enjoyed looking through the photos. Many thanks for providing such a professional service and photo booth on Friday night. Everyone at the party was very complimentary about it and thoroughly enjoyed using it. We were also impressed by the high quality of the photos printed. I would like to say a huge thank you for Sunday. The photo booth was a bigger hit that we could have imagined and the Bride and Groom really loved it. Thank you, had such a fun time, it was amazing. Thanks very much, the photo booth was excellent. Thank you for Friday, everyone enjoyed the booth very much!! It really went down a storm!! Thank you for doing such a wonderful job at our wedding. Everyone was very impressed. 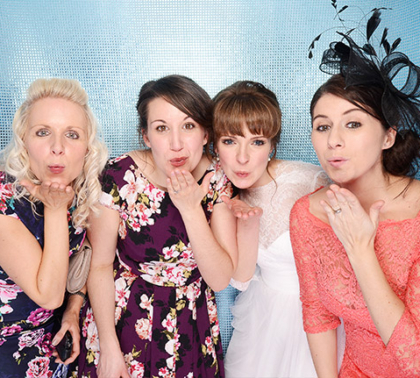 Thanks for providing such a good service – the photo booth was a great success! Where does the event takes place?